We are civil engineers and hydrologists providing engineering and consultation services using the best science possible. We are hiring and we need your talent! If you are a civil engineer with 3 to 10 years of experience in water resources, send us your vitae and cover letter to our administrative assistant. Professional Engineering registration is preferred, but we are always looking for the right person. 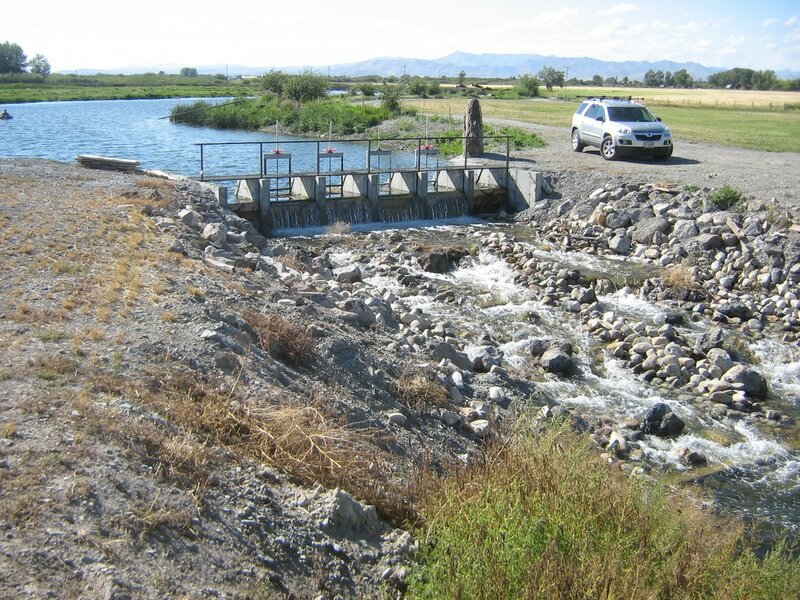 In 2012, Brockway Engineering designed a ramped, broad-crested weir to measure the discharge flowing between the upper and lower Blue Lakes. The weir replaced an unstable rated section used since the 1950s, having very poor accuracy exceeding +/-20%. The new weir continues to function superbly with an accuracy to within +/-5%, while being low-profile and aesthetically unobtrusive. Brockway Engineering was proud to be part of the engineering team for the unprecedented restoration of the Kilpatrick Pond on world-famous Silver Creek in the Big Wood valley. 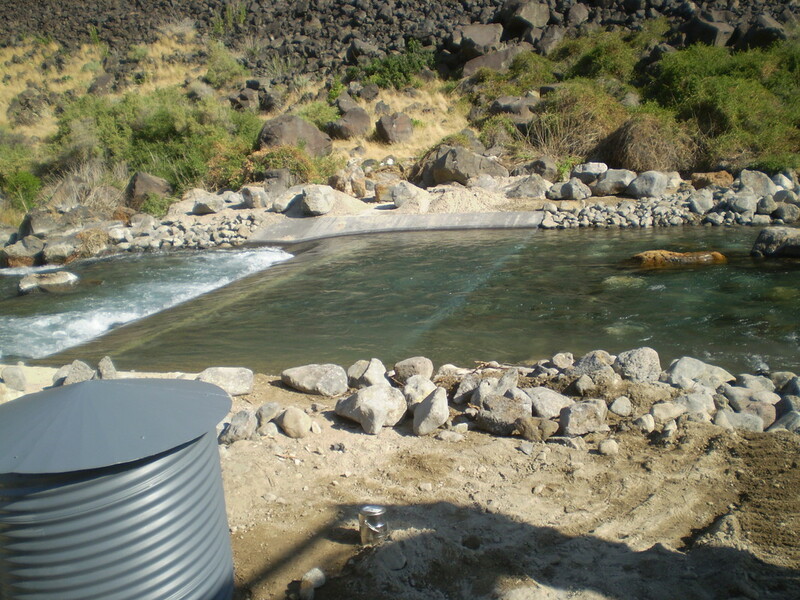 The project achieved the objectives of reducing temperature increases, providing better fish habitat, establishing major areas of new riparian habitat, while still allowing the owner’s full water rights to be efficiently diverted. A key element of the project was our “over-under” diversion dam design, which allows water to pass over check boards or in a series of pipes under the dam in an infinitely-variable ratio. The dam also eliminated the blockage to fish migration by incorporating a natural fish ladder. A working ranch on world-famous Silver Creek needed to replace a check structure for an irrigation pump. The challenge: make it friendly to fish, impervious to ice, aesthetically pleasing, hydraulically functional, and safe to maintain. The catch: do it without putting any concrete in the stream! Brockway Engineering and the client settled on a "V-weir" drop structure comprised of natural stone materials. All criteria were met and the effect is impressive. This solution could become the new standard on Silver Creek for permanent check structures that won't pose a barrier to fish passage. Welcome to Brockway Engineering. We are a team of engineers and scientists providing water-related engineering services to Idaho and the surrounding region. We’re both a traditional design firm and an applied science consulting company, with a focus on hydraulics, hydrology, environmental science, and water resources. If water is involved, we're likely in the middle of it. Brockway Engineering is anything but a cookbook engineering firm. The challenges our clients face require a combination of unmatched experience, knowledgeable application of science and engineering principles, and insight into new ways to approach complex water problems. We thrive on being on the vanguard, boldly going where no engineer has gone before! Click here for a Statement of Qualifications, or browse this web site to find out more about us. Send mail to individual staff members.